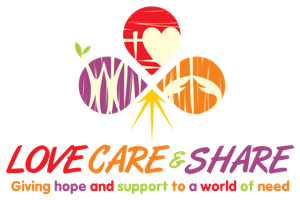 Welcome to Love Care & Share, an organization established with an objective to provide aid to distressed individuals and families who have experienced loss due to various natural disasters and other life hardships. When you give, give wholeheartedly because you never know what you give today will come back to you in a way that you can’t even imagine. Love Care & Share is organized exclusively for Public Benefit, charitable, religious and educational purposes. We do not require that you belong to any particular religious affiliation or financially support our organization in any way. We do ask that you return one good deed with another and perform an act of kindness. This way, the cycle of compassion and goodwill continues indefinitely. We are always looking for volunteers. You will find that volunteering, you will find happiness and strength. Our doors are always open. Please help us make this world a better place one step at a time.